What will you do with your satellite dish now Sky's ditching satellite TV? An announcement in Sky's latest financial report caught the imagination of many, and triggered a flurry of articles and social media content about the demise of the dish. Expats were told the move would cause them to lose access to Sky. Sky actually announced all of this a year ago. Under the plans, announced by Sky's Chief Executive Stephen Van Rooyen on the 26th January 2017, the dish-free service, based on the SkyQ box would, in his words, "give millions more homes the chance to enjoy TV with SkyQ." At that point, SkyQ was only available in the UK and Ireland, and according the original announcement, the service would be available "from 2018." Roll forward twelve months, and the tone from Sky had changed dramatically. It re-announced the launch of a dish-free Sky service. But by now SkyQ had launched or was going to launch in its other European markets. The UK was not going to be first. Instead, Austria and Italy would become the first places to get the new service, with the UK either coming later in 2018, or in 2019. Since all the localised versions of Sky have come under common ownership, it has been trying to harmonise its offerings and offer the same or similar experience everywhere. However in some of the countries Sky operates in, there are a greater proportion of households living in rented accommodation. Complex rules govern satellite dish installations. If you understand German, here's a link explaining the rules you need to follow if you want satellite in Germany, and here, information for Austria. Basically, there are many more obstacles in the way, and legal battles have been fought over the issue over the years. In these countries, Sky is currently available on cable services and basic cable TV is often provided as part of the monthly rental charges with viewers able to add pay TV services, including Sky channels. 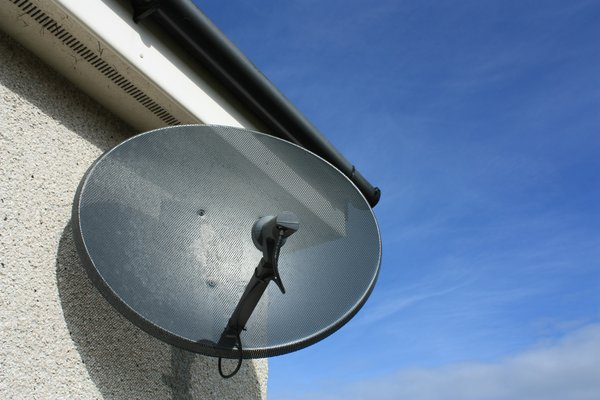 Cable operators, including Vodafone's German cable service, offer landlords special rates, which might be why some landlords and housing associations aren't always keen to see dishes on their properties. With SkyQ, it will be possible to offer the full Sky experience and channel range to these households, sidestepping third-party cable distribution, as it will in every country Sky operates in. In the UK, Sky has confirmed that the decision to introduce Sky over IP is primarily for those who want Sky but can't get a dish. A spokesperson said: "Even things as mundane as poor area coverage or a tree in front of a house can inhibit this - so we're just offering another platform for our customers." The whole premise of SkyQ is to offer a premium Sky service that is built around high quality HD or UHD channels, improved sound quality and improved integration with catch-up or on-demand services. Once you want to start offering that across a household with multiple users, and take away the back-up option of switching to a satellite feed for some TV content, a more expensive fibre-based internet connection is required, in order to provide the necessary bandwidth for multiple users. With multiple UHD or HD streams on the go, a household may typically need a higher-tier fibre-based connection, which would incur additional cost compared to a basic fibre-based connection or a regular ADSL2 connection (BT's UHD service requires a minimum 44 Mbps download speed - more than what Sky's current basic 'up to 38Mbps' fibre tier offers). At the present time, the UK's broadband infrastructure would struggle to keep up - even if some can benefit, the further a household is from their local fibre broadband street cabinet, the slower their fibre-based connection is, reducing coverage of the highest speed connections. More full fibre (Fibre to the Premises) connections in the years to come would solve that. But such services will cost more and take longer to roll-out. And would households opt to pay extra for a faster-tier internet connection in order to do what they can do now without the extra cost? Ultimately, just like Now TV was never meant to cannibalise users from the existing Sky service, Sky by internet isn't (yet) meant to take satellite viewers. Compression. Neither Sky or Freesat offer SD-only receivers as part of their current stock, but legacy receivers still remain in circulation. All Sky needs to do is withdraw support for legacy stock, and it would be able undertake a major change in the way it broadcasts via satellite. All HD boxes support the newer DVB-S2 standard. Take away support from older legacy boxes - perhaps offering free upgrades to affected households - and Sky would be able to make a wholesale switch to DVB-S2, allowing more channels to fit on each transponder. What that means is that overnight, Sky could either switch-off all of its SD channels, or keep them (for those who don't want to pay extra for HD) and compress them over fewer transponders. In any event, the number of satellite transponders it would need to rent from SES could be cut dramatically. With Sky leading the way, third party operators of satellite channels could follow. How soon free-to-air channels could follow would depend on how soon Freesat can drop support for its legacy receivers. Sky's satellite service on Astra 1 @ 19.2E, for Germany and Austria has already made such a switch. Even though other channel operators on Astra 1 still use the older DVB-S standard, Sky has been able to achieve substantial cost savings for its own channels. In its latest report, Sky confirmed that its latest carriage deal with SES for its German service had resulted in a 34% saving in transponder costs. Bad news for SES, but cost savings that the UK business might be interested in replicating. And with such a reduction in costs possible, the balance towards retaining a presence on satellite becomes more favourable. As for expats - or British citizens living in Europe - some social media sources claim they'll be hard hit: but apart from some channels leaving Sky's paywall and opting for free-to-air distribution on the more difficult to receive UK spotbeam, there's unlikely to be any major shift for a few years to come. New EU rules that force rights holders to remove geo-blocking and make content available to citizens when they're travelling within the EU - allowing for example holidaymakers to continue accessing online TV services as if they were at home - may accelerate a switch to internet-based TV, but how long UK users will actually benefit depends on the type of Brexit that will occur and how or if this piece of legislation is removed from UK statute books. Don't ditch the dish just yet.